Welcome to an exclusive Portuguese-colonial style farmhouse that spreads across 4 acres of land. 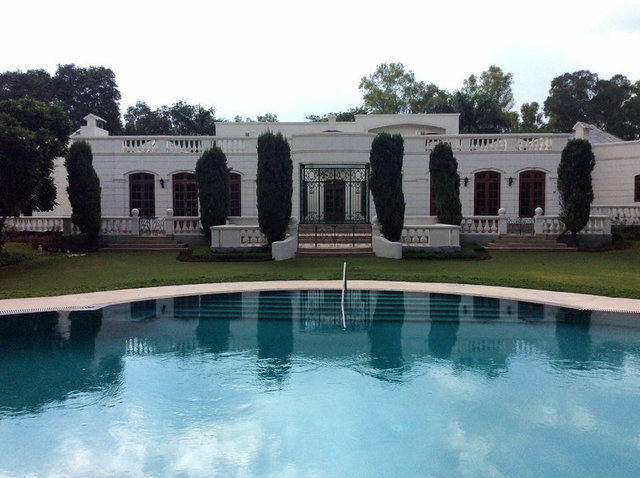 Situated in Chhatarpur and surrounded by green avenues this stunning mansion is distinguished by its location and architecture. This extravagant house comprises four bedrooms with attached baths, living, dining and kitchen spaces all equipped with state of the art fittings. Masterful design and modern luxury are uniquely embodied in this dream home where crisp white walls, marble flooring & wooden elements create a timeless aesthetic. The arched hallways are reminiscent of old style architecture which creates a beautiful balance of modern meets old world charm. The well-manicured gardens, dotted with palm trees and shrubs exude a feeling of a unique and private oasis. The sizable swimming pool provides for the perfect setting to host a gathering of friends at the poolside.